Buying a business is not a decision to make lightly. There are reasons both for and against buying an existing business, but one of the prevailing reasons for it is that an existing business does not need any start-up effort. Customers, employees, assets - everything is already in place. All you need to do is negotiate terms with the current owner. 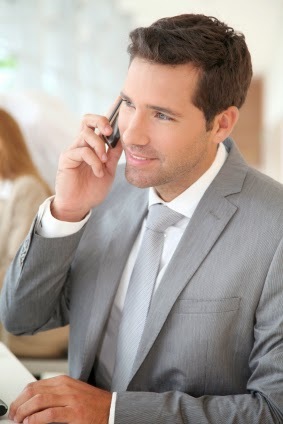 The first thing you should do is contact a business broker. A business broker is someone who can help you find new business opportunities or a small business for sale. Buying a business is not nearly as simple as just finding a broker, though. There is a process, and if you are excited to be making this kind of move, then here is what the process of buying a business might look like. What to look for when buying a business. you? Some people prefer to choose a business that is in close proximity to them, while others look for businesses that have a strong history and customer base. A fair selling price is something that you will have to consider, and whether you are either able to run the business yourself, or if you will need to hire someone with the appropriate skill set to successfully run it for you. You might want to look for a business that is in a state with laws, taxes, and legislation that support small businesses. Do not forget about due diligence. Once you have selected a business that you are considering buying, you will need to make sure that the business is operating according to all legal requirements. According to the United States Small Business Association, you will want to review all of the licenses and permits that the small business currently has. This will likely depend on what state the business resides in, and the type of industry it belongs to. You will want to check on zoning requirements, environmental regulations, and anything else that might affect the value or legitimacy of the prospective business. Certified financial records, balance sheets, leases, major contracts, cash flow, employee contracts and benefits, anything that could potentially cause a problem or influence your decision about the value of the business. Once you have done due diligence and been satisfied in the security of your potential investment, you may begin negotiating with the current owner. If you and the business owner cannot decide on a price, you can hire an appraiser, and then work towards an agreement on the terms, down payment, and which assets will be sold. A lawyer may be necessary at this point, because legal forms will need to be signed so that the business can change hands. These three steps are a simplified representation of how to buy a business, but they should give you a general idea of what your journey will look like. Remember to choose a business that you believe you will be capable of running, and thoroughly investigate it before working towards a negotiated sale. As an entrepreneur, the entire process will likely be both challenging, enjoyable, and a good test-run for your new full-fledged business endeavor.